The former Camden resident is on the list of potential witnesses in Manafort's conspiracy trial set to begin Sept. 24. WASHINGTON — An American political consultant and Maine native who is cooperating with federal prosecutors and has admitted in court that he steered $50,000 from a Ukrainian politician to Donald Trump’s inaugural committee is among potential witnesses listed in the upcoming trial in Washington for Paul Manafort. 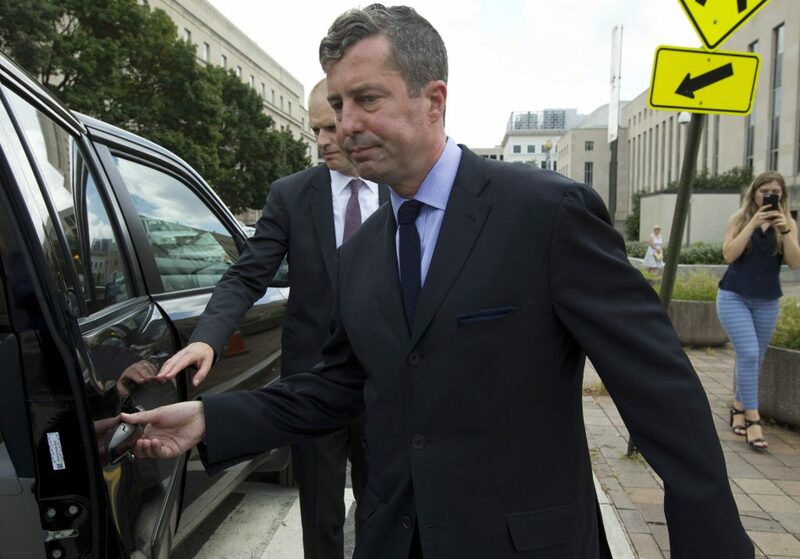 Samuel Patten pleaded guilty on Friday in federal court to failing to register as a foreign lobbyist while working on behalf of a Ukrainian political party. On Wednesday, as part of pretrial activity in Washington, Patten’s name was among those of 120 people who might testify or be mentioned at the trial of Trump’s former campaign chairman set to open Sept. 24, according to court filings. In his plea deal, Patten said he was helped by a Russian national who has been linked to Russian intelligence by U.S. prosecutors and who was also an associate of Manafort’s. The list of people who may testify or be referred to includes many of the vendors, accountants and investigators who took the stand at the recently completed trial in Alexandria, Virginia, where Manafort was convicted of eight of 18 tax- and bank-fraud charges. But the list for the District of Columbia trial also includes 23 Ukrainian and four European politicians. Also on Wednesday, U.S. District Judge Amy Berman Jackson of the District warned attorneys for both sides to drop “unduly prejudicial” tactics they deployed in Virginia. Jackson postponed ruling on the most contentious requests from the defense and prosecutors to exclude what they see as biasing evidence from the trial. But in a two-hour-long hearing, Jackson said she followed reports from Manafort’s trial in Virginia and ordered both sides to avoid duplicating some approaches they took there. Jackson also ruled the trial would stay in Washington, rejecting an argument from Manafort’s team that it should be moved to Roanoke due to pretrial publicity. Manafort, 69, has pleaded not guilty to charges in Washington that he conspired from 2006 to 2017 to hide $30 million of laundered money he earned for undisclosed lobbying for a pro-Russian politician and political party in Ukraine. The pair of federal cases was brought by special counsel Robert S. Mueller III. Jackson ordered Manafort’s attorneys not to mention the marital infidelity of his former business associate and now key government cooperating witness Rick Gates, if Gates testifies at the District trial. Gates’s admission of an affair and embezzling was elicited in Virginia by Manafort’s team as it sought to show Gates stole from Manafort’s business to live beyond his means. “You can show how it was spent, but I’m talking about emphasis, and how much time is spent,” Jackson said. Jackson also deferred making decisions on several high-profile disputes. She gave Manafort attorneys Kevin Downing, Thomas Zehnle and Richard Westling one more week to weigh in on prosecutors’ request to bar the Manafort team from challenging the motive or mandate of the special counsel’s probe before jurors. 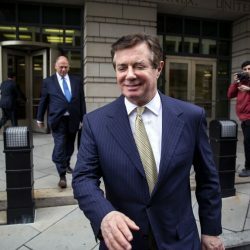 The judge said she also would hold off for a week before deciding whether to grant a defense request to keep a jury from hearing potentially incriminating statements from one of Manafort’s former attorneys about filings made to the government on Manafort’s behalf over his work in the Ukraine. Downing listed several companies who worked with Manafort in various capacities during his representation of Ukraine’s former prime minister Viktor Yanukovych and his Party of Regions, but who were not charged as Manafort was with violating the Foreign Agent Registration Act. “The only reason we’re here is his role in the campaign,” Downing said, saying their client is a victim of selective or vindictive prosecution.